The most popular metal that is traded online is gold. It is often paired with other currencies such as the Euro and the USD. It is important for any online trader to have an idea about the factors that affect the price of gold if they want to succeed in trading the precious online. Read on to find out some of the most important factors that affect the price of this precious metal. Just as with any other commodity, price of gold is essentially determined by both the demand and supply of this precious metal. The price of this metal is almost always on the rise because of its finite supply and its ever-growing demand. Apart from its use as a means of investment, gold is much sought after in industries owing to high resistance to corrosion and high thermal conductivity. This persistent increase in demand drives up the price of the yellow metal. A very crucial factor influencing the gold price is the state of the US economy. Being the most powerful economy in the world (with a GDP of over 17.4 trillion USD), any economic event in the US has a definite impact on the price of gold. United States is the largest buyer of gold in the world. It also has the largest amount of gold holdings. When the US economy slows down, the gold prices take a dip, along with slowing down of many other countries’ economies. Similarly, when the US economy is up and growing, gold prices increase. As an online trader of gold, it is important to keep an eye on those countries whose currencies are risky to invest in. This happens when such nations are steeped in debt. If the currency of a nation is in a state of constant devaluation because of inflation, its relative value decreases. Gold does not suffer from such problems. It forms a stable investment and holds a constant intrinsic value. 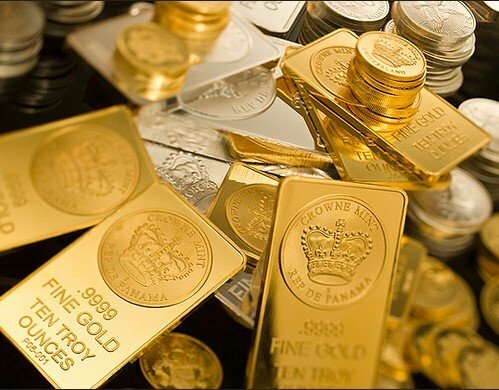 For an online gold trader, one of the strategies of fundamental analysis is to keep an eye on those nations that are selling off their gold reserves to rev up their economies. Gold prices are also significantly affected when currencies such as the Japanese yen, British pound, the Australian dollar, or Canadian dollar fluctuate in the market. Fluctuations in currencies make the investors take note of gold as an investment. This makes the gold market more volatile. Depreciation of the US dollar, when compared to other currencies, increases the value of gold in the market. Central banks and mining companies in different countries usually have the biggest gold reserves. They buy and sell gold in the market according to currency fluctuations and changes in the economic scenarios of the country. Failures of the banks and irregular economic policies give a feeling that gold is a safe investment haven. Drastic price changes of the yellow metal are attributed to frequent transactions conducted by these bodies. Though gold does not pay interest like bonds or money in savings accounts, the current market price of gold is usually indicative of either the decline or increase of interest rates. When the interest rates increase, people may sell gold to free up money so that they can invest in other opportunities. This can reduce the prices. When interest rates decrease, gold price often increases because there is a lower opportunity cost to holding the metal when compared to other investments. Lower interest rates mean a greater attraction to the metal. Central banks of the different countries hold both gold and paper currency in reserve. Central Banks keep buying gold to increase their reserves. When such central banks buy more gold than what they sell, the price of gold shoots up. This is because the supply of currency increases and availability of gold in turn becomes scarce. Quantitative Easing or QE refers to a strategy adopted by central banks in which they purchase securities to increase money supply. By increasing money supply to large financial institutions, central banks hope to increase their lending powers and their supply of money. This further pushes the interest rates down and encourages investors to buy more gold because of the lower opportunity cost. However, when this crosses limits, it can trigger inflation which can cause gold prices to increase. Stopping QE may put pressure on gold prices to slide if inflation slows down and interest rates rise. This is a good opportunity for investors to take advantage of lower gold prices. The world’s gold supply in total is about 165,000 metric tons. Out of this about 2,500 metric tons are produced in a year. Though each year’s new production is not a big quantity after all, the cost of production is a major factor in deciding gold prices. If the production costs increase, miners sell the gold for higher prices and this price is reflected in the gold sold to the consumers. It does not matter whether the gold was mined recently or a long while ago. Not only is gold used to hedge investments, it is also used extensively to make jewelry and is used in industries. China, India and the United States are the countries that have the largest demand for gold jewelry. In countries like India, gold is considered as a powerful hedge tool, gold jewelry forms important gifts and is used to display wealth. In China, the golden color as well as the precious metal denotes opulence. In addition to jewelry, another 12 percent of gold is used up by industries. It is used in many applications including the computer industry, electronic devices, and biomedical equipment and implants. As a closing note, gold is likely to retain its position as a precious metal for a long time to come in spite of its price fluctuations. Actual value of gold is predicted to be fairly stable in the long run, according to market experts. Price fluctuations merely reflect temporary uncertainty of specific factors.